Daniel Cranston arrived, saw, and conquered Michigan. He warmed up on Friday night by winning the Gideon Smith Cup, a 4-man WASPA event in East Lansing. In Saturday’s fifth edition of Flicko de Mayo in Rockford, Daniel scored an impressive 24 goals in five matches to claim the title. For the third year in a row, the tournament was a FISTF Satellite/ASA/WASPA event. 9 players from Illinois, Iowa, Florida, Maryland, and Michigan made up a very competitive field that included five of the top 12 players in the ASA rankings. A highlight of the weekend was Chicago United’s win in the inaugural Great Lakes Cup team challenge: a decisive 2-0 victory over host Grand Rapids TSC. 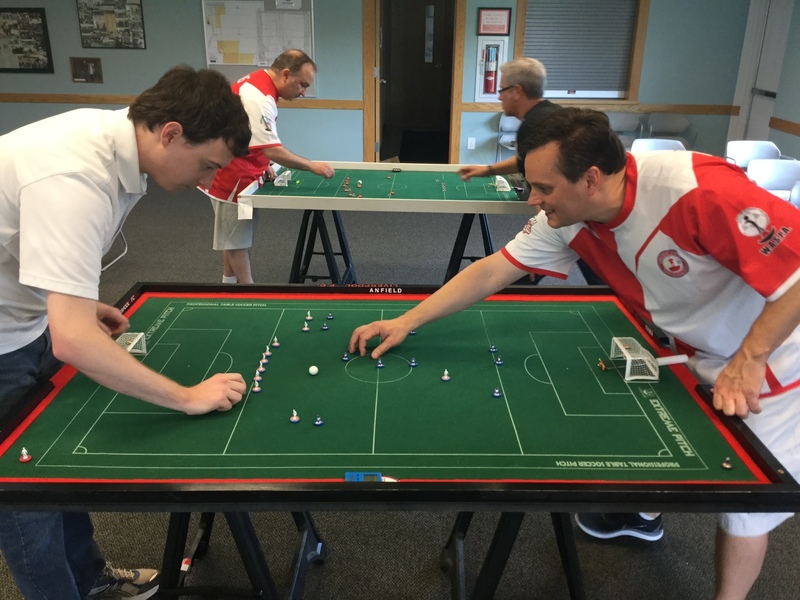 A great weekend of subbuteo, sportsmanship, and camaraderie! This entry was posted in FISTF News and tagged Results, Satellite, USA. Bookmark the permalink.